Automotive manufacturers are making huge strides in their vehicles and one of the best places to test those rides is the most visited mountain peak in the United States, Pikes Peak. Known as America’s Mountain, it climbs 14,115 feet above sea level and is quite the tourist attraction. 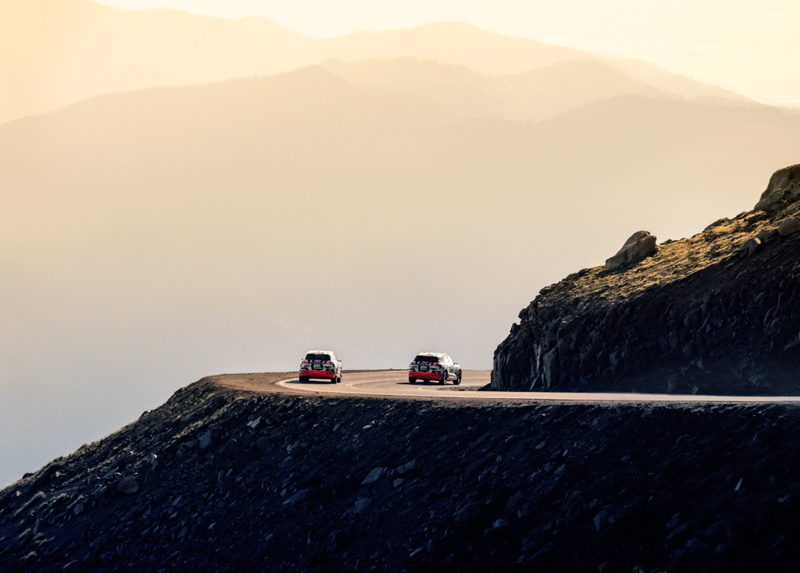 Fishing, hiking, train rides, biking, and driving are just some of the attractions of the peak and its swirling paved roads with stunning views make the perfect proving grounds for many automotive manufacturers. 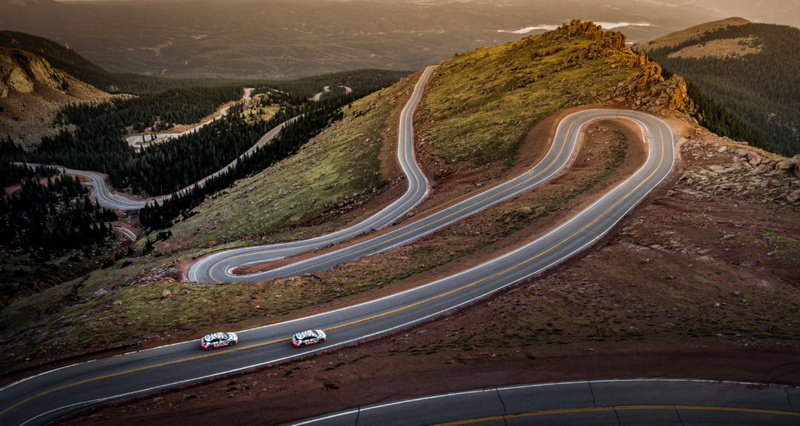 The Pikes Peak International Hill Climb, known formally as the Race to the Clouds, has been running since 1916 and is the second oldest motorsports event in the western hemisphere. This historical course is 12.42 miles, has 156 corners, and the finish line lands at the 14,115-foot mark. The first race to the top took place in 1917 and was won by Rea Lentz in a Romano Special with a clocked time of 20 minutes 55 second. Flash forward, today’s fastest course times have dwindled to 7:57.148. Vehicles must be in tip-top condition to make it to the top, let alone win. Sidecars, motorcycles, pure EVs with insane horsepower, and Unlimited Racers all compete to make the Race to the Clouds one of the most diverse motorsports events around. 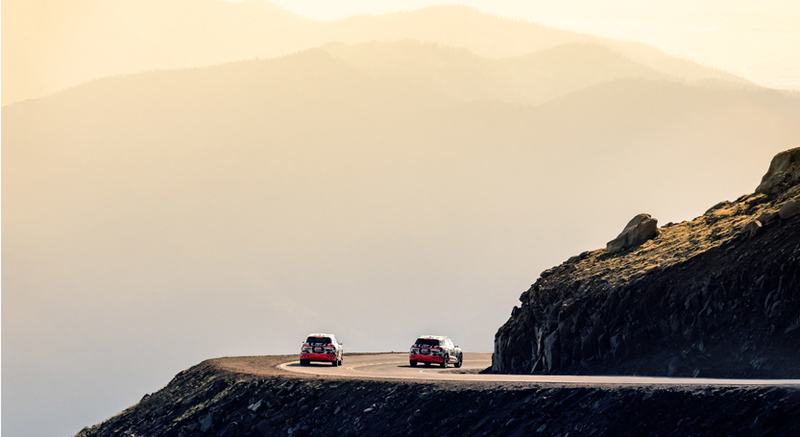 The elevation, corners, and curves provide optimal conditions to test handling, suspension, and braking power. In road tests down the peak, it is required for drivers to stop halfway down in order to check the temperature of the brakes and make sure they are not overheating or catching on fire. Kelley Blue Book’s Karl Brauer tells us that in a recent test drive on the peak, the all-new Audi e-tron EV performed exceptionally well. While at the checkpoint, the ambient temperature of the road was 40 degrees and the brakes of the e-tron only registered at 48 degrees leaving no worry for the driver. 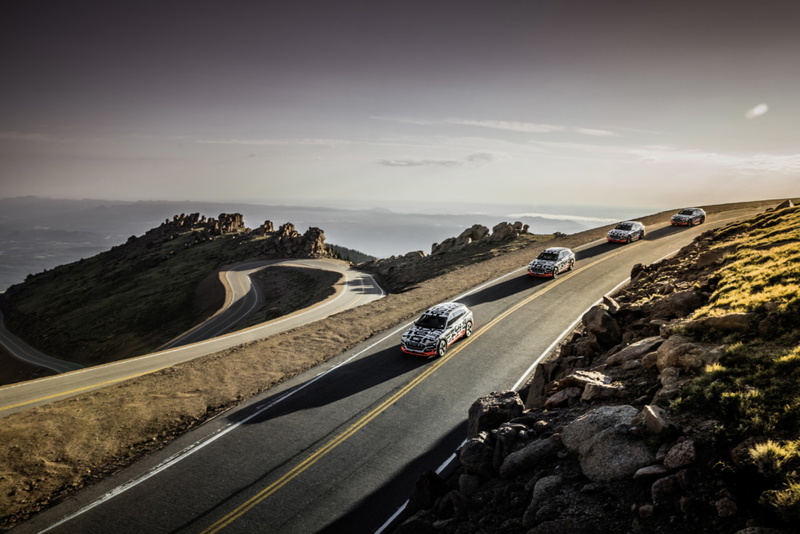 As an added bonus, the e-tron’s regenerative brakes allowed the car battery to charge throughout the mountain descent. 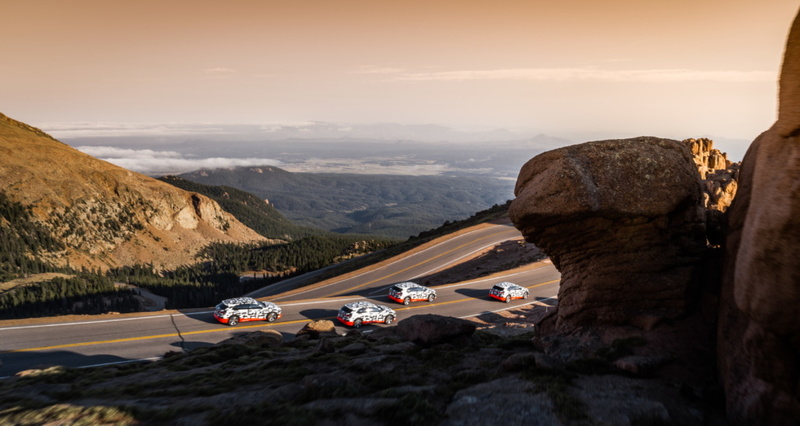 Listen to Karl’s interview on THE DRIVE with Alan Taylor to hear how the e-tron’s regenerative braking system fared on Pikes Peak (fast forward to 28 minutes and 35 seconds). Whether you want to watch the iconic Pikes Peak International Hill Climb, see how a new ride fairs on the corners, or just take a breathtaking drive with epic views, Pikes Peak has it all. If you are planning on making the trip soon, check out the links below to discover everything this killer place has to offer.